As is the case every year, hype surrounding the Toronto Maple Leafs as the trade deadline approached was through the roof. Fans waited on the acquisition of either Roberto Luongo or Miikka Kiprusoff to help solidify the team’s goaltending, a trade for a centreman who could anchor the top line or a defenceman who could stabilize the back-end. Unfortunately for those fans, none of that ever happened. That doesn’t mean the Maple Leafs’ trade deadline was quite, though. In fact, the small-ish trade general manager Dave Nonis completed with the Colorado Avalanche made the day somewhat interesting. This trade saw blue-liner Ryan O’Byrne join the team, helping form the good and the bad of the Maple Leafs’ deadline day as well as questions about their future. Luongo has been on the wish list of just about every Leafs fan since last year but the team hasn’t been able to bring him in even though they reportedly had a deal worked out with the Vancouver Canucks, his current team, last summer. The 2013 trade deadline was no different; it passed with no sign of Luongo wearing to blue and white of the Maple Leafs. This year’s deadline also passed with Kiprusoff remaining in Calgary, something that took quite a few people by surprise. 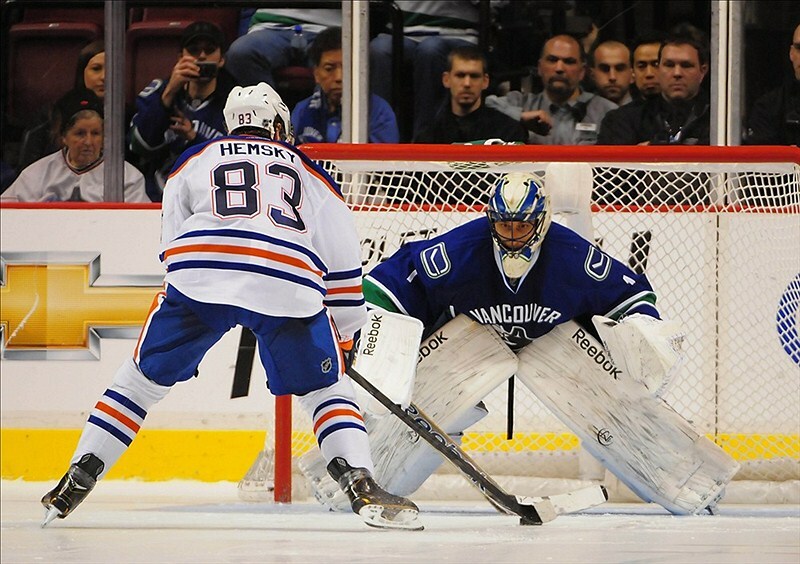 He, like Luongo, is a veteran goalie who the Leafs were believed to have on their radar. 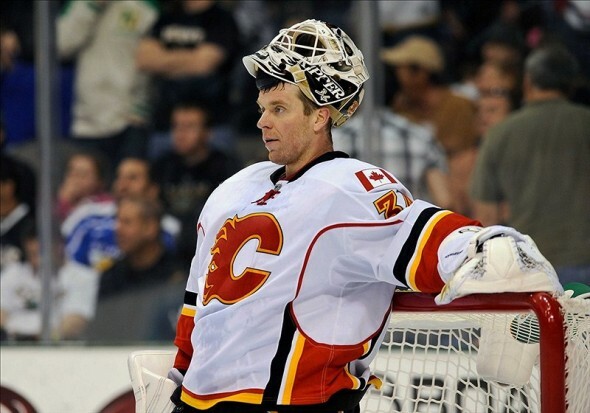 In this case it wasn’t necessarily the asking price that was the issue but rather it was Kiprusoff’s wish to remain a member of the Flames with plans of retiring this summer. The Leafs may not have gotten the veteran keeper they were looking for but that’s not necessarily a bad thing. The trade market for any position certainly wasn’t large this year and it was no different for the goalies, where Luongo and Kiprusoff were the only two established veterans available. Both would’ve been good options if their contracts weren’t massive and if the receiving team knew what to expect from them on the ice. There is no denying the fact that Kiprusoff has underperformed this season with a 3.64 goals against average and a .868 save percentage. These statistics are enough to outweigh his years of playoff experience considering his $5.8 million cap hit and the fact that he was looking for an extension on his current contract, which already runs beyond this season. The situation concerning Luongo isn’t much different. Although his statistics are an improvement (2.44 GAA and a save percentage that’s at least greater .900) over Kiprusoff’s, he is notorious for letting in extremely weak goals and playing very inconsistent hockey. Is he a talented goalie? Certainly, but weak goals and inconsistent play aren’t things a team should be willing to take on at a $5.3 million cap hit that runs until 2022 while giving up valuable assets in the process. Further extending the case against Luongo is that James Reimer and Ben Scrivens are both more than capable of playing well under pressure. Both have impressive statistics this season and assuming they hold up in the playoffs, there is no need to worry about the crease. Maple Leafs fans: be thankful your team didn’t bring in Roberto Luongo or Miikka Kiprusoff this year. It was well-known by the hockey world that Maple Leafs GM Dave Nonis was in the hunt for a defenceman to help keep the blue line, one that has been shaky defensively all season long, in order. It was thought that he waned a top-four guy, someone who could eat up minutes to help bring down Dion Phaneuf’s playing time in order to maximize his defensive play and offensive production. Nonis may have gone searching for such a defenceman but he never got it. Instead, the Leafs GM brought in Ryan O’Byrne at the last moment. If you don’t know the name Ryan O’Byrne, it’s OK; not many people do. Those who do know O’Byrne tend to have a rather dark impression of what he will bring to the team. O'Byrne appears to take minor penalties pretty regularly, too. Has had a dozen or so fights in his career. The O'Byrne trade looks great if you look at it as the Leafs trading a 4th for O'Byrne and NOT Kiprusoff. Perhaps the biggest reason why O’Byrne’s arrival in Toronto hasn’t been very welcomed is that Jake Gardiner will likely see less ice time than he’s already been getting now that a Randy Carlyle-type defenceman has been added. Gardiner has sat out the last two games as a healthy scratch due to a lack of defensive responsibility. He may not have been playing well defensively before he was taken out of the lineup but Gardiner is a solid offensive defenceman who is still learning the ropes of the NHL. If his rookie season showed us anything, it’s that he has the potential to be an everyday top-four defenceman for the Maple Leafs. With limited action and the unlikelihood of him going back to the AHL’s Toronto Marlies, Gardiner is not being provided with the means necessary to develop his skills. Assuming O’Byrne fulfills expectations, don’t expect to see Gardiner play much, if at all, from here on out. With a handful of upcoming free agents still in their lineup post-deadline, the Maple Leafs will have a few questions to address in terms of player contracts this summer. To go along with O’Byrne, Carl Gunnarsson, Cody Franson, Nazem Kadri, Tyler Bozak, Leo Komarov and Clarke MacArthur are all set to hit the market in July. Luckily for the Leafs, Gunnarsson, Kadri, Franson and Komarov will all be restricted free agents, meaning they will be able to receive compensation if any of them sign with another team. 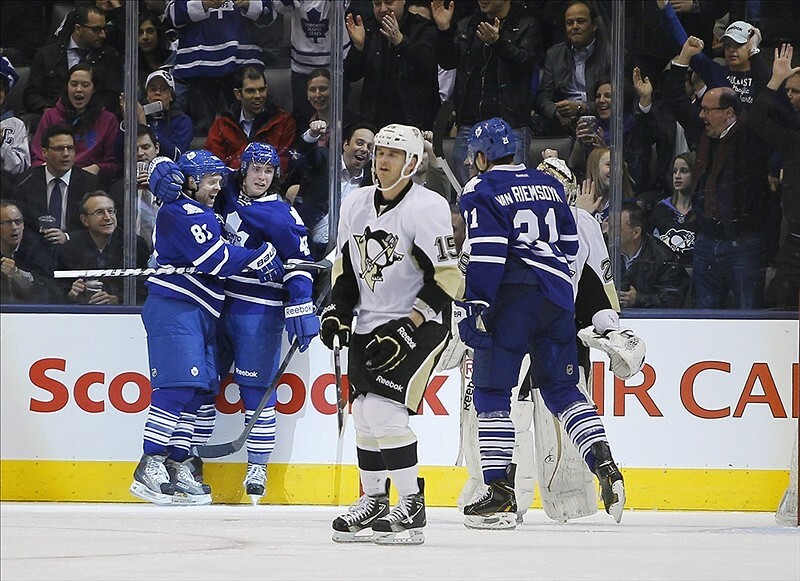 MacArthur and Bozak, however, will both be unrestricted, meaning it’s re-sign or wave goodbye completely. Trading any of those six players would have eased the minds of Nonis and his staff heading towards the Entry Draft, but rather they will have to face some serious questions and make some even more serious decisions in the coming months. 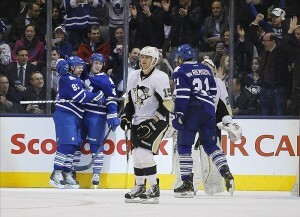 Check out Maple Leafs Central, a THW Network site.